At Academy of Learning Career College (AOLCC), our students come from all walks of life. Each brings a variety of life experience, talents, and backgrounds and we couldn’t be any prouder of all their accomplishments! At 37, this single mother of two was jobless, broke, and not sure how she was going to support her family. April had been applying to jobs for months, but could hardly land any interviews. Over and over again, employers looked her over. She felt hopeless. Fortunately, April got her second chance. She qualified for Second Career, an Ontario government program that helps Ontarians train for a new job. 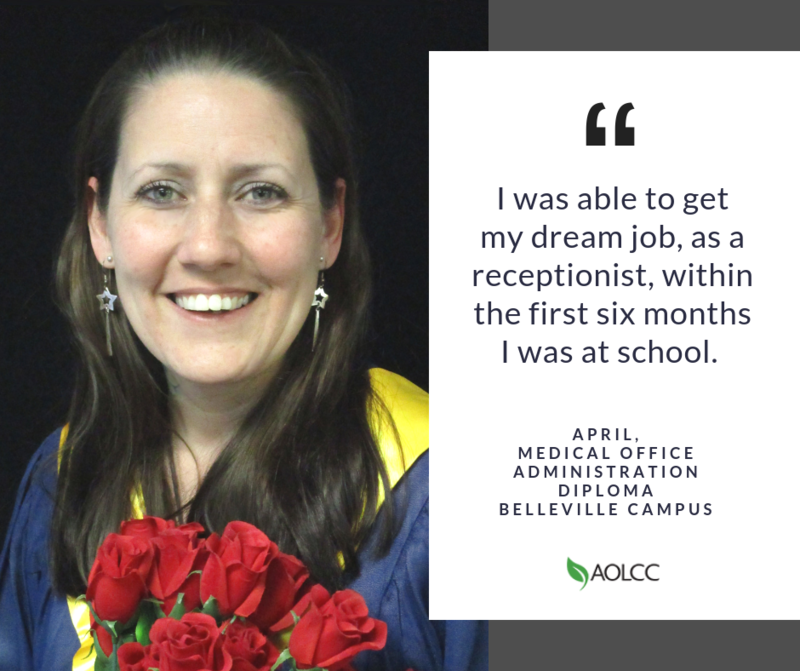 April chose Academy of Learning Career College – Belleville to begin her career training in the Medical Office Administration program. Like any new student, April was scared at first. But with help from faculty, she slowly began to build her confidence back. She credits faculty members Mirelle, Michelle, Kristie, and Melanie for making her feel like home and helping her find her way. In her courses, April learned how to perform common administrative office tasks, including how to use popular office software applications. Lo and behold, within the first six months of starting her program, April landed her dream job as a receptionist! With strong encouragement from her teachers, April was also able to graduate with honours. She has now found even better employment with 2Care4 CPAP as a Medical Office Administrative Assistant. “You are worthy of your dreams becoming reality! 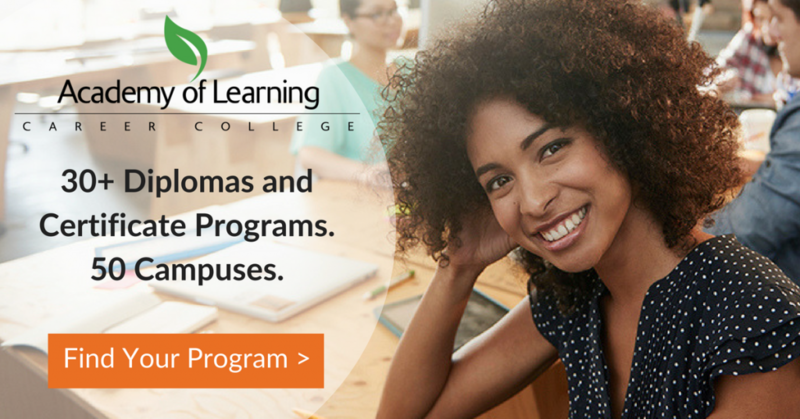 Academy of Learning Career College is the college that will get you there and truly cares. It was the best decision I have ever made. I am so thankful for being blessed with my bright future, and I owe it all to AOLCC! You are never too old to have your dreams come true… Mine did, and yours can too! Congrats & thanks for the inspiration, April!